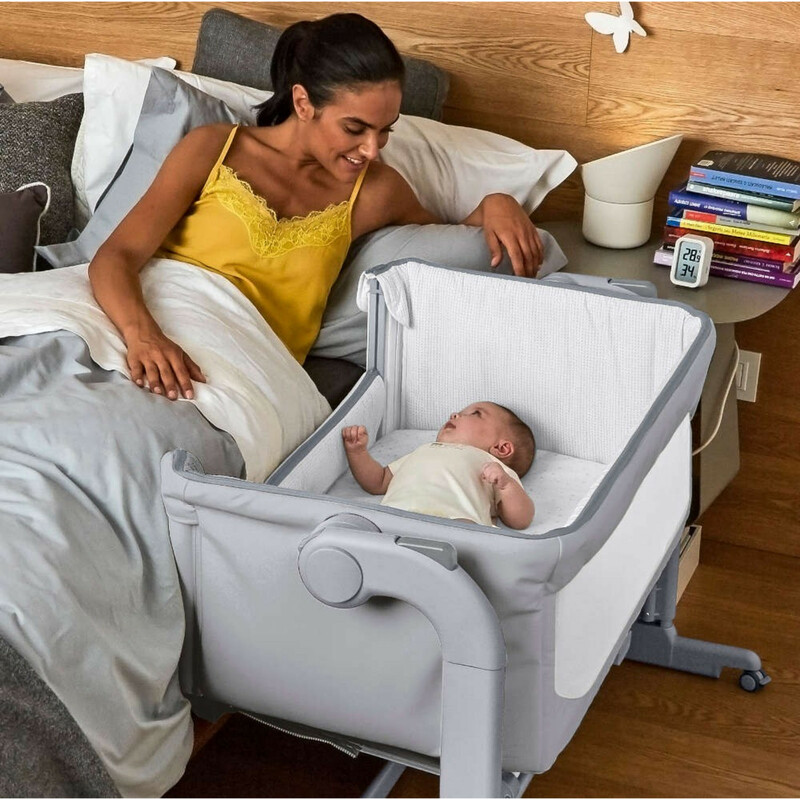 The Chicco Next 2 Me Magic Crib promotes side sleeping, where baby remains close to you at all times throughout the night, but without staying in the same bed as recommended by baby experts. With Next2Me Magic, your child can sleep safely in their own crib whilst you can rest next to them in your own bed, making cuddles and breast feeding more convenient and comfortable.. In this way, your bond will grow stronger and your nights more peaceful. 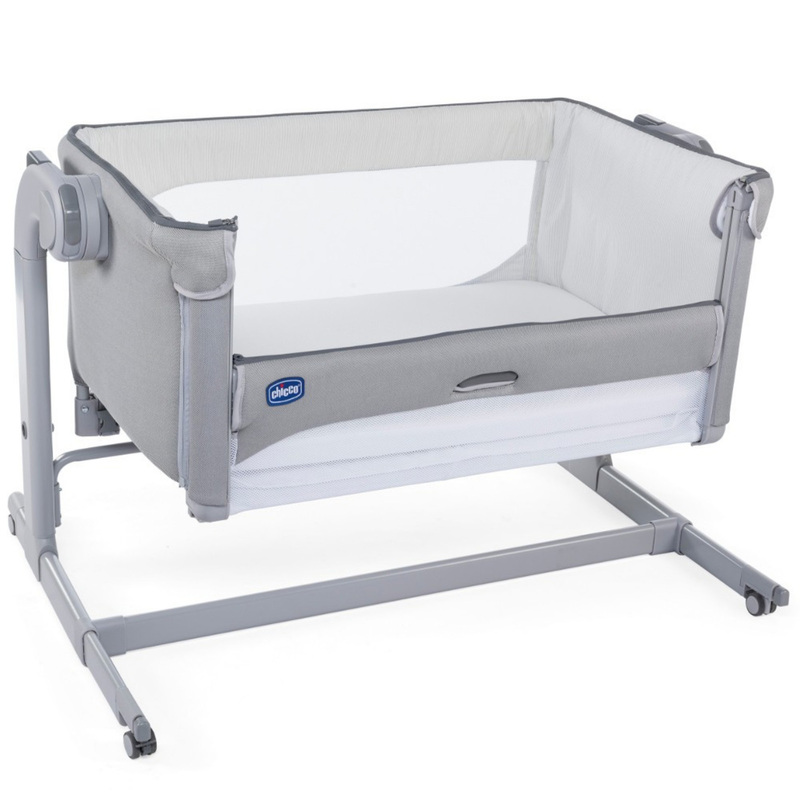 The Next 2 me Magic is a perfect choice for your babies first bed as it has more longevity with it being 50% bigger than a standard moses basket. Also for holidays and staying at Grandparents house, it neatly folds away into a travel bag so baby will be comforted from remaining in the same sleeping environment even when staying away from home. 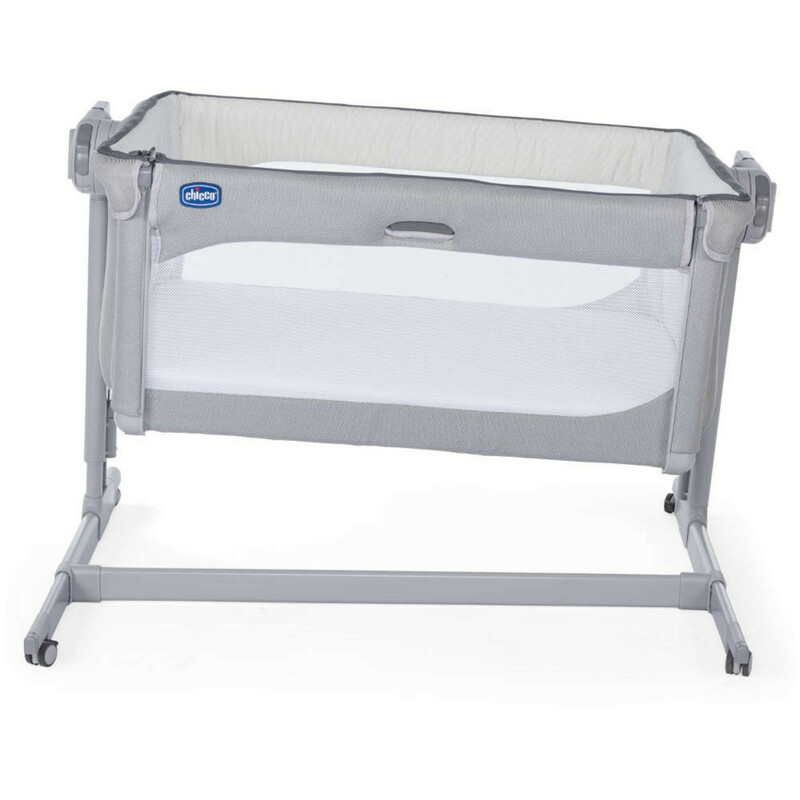 As baby grows older, the Next2Me crib can be progressively moved away from the parents’ bed and used as a normal stand alone crib until approx 6 months or until baby can pull themselves up into an upright position. So what’s different about the Next 2 Me Magic crib? There is now a brand new one hand sliding side panel, which is to be used when fixed to the adult’s bed, making it even easier for you to reach your little one during the night. The Chicco Next2Me Magic also includes a new rocking mechanism that can be operated in free standing mode by the simple touch of a button. 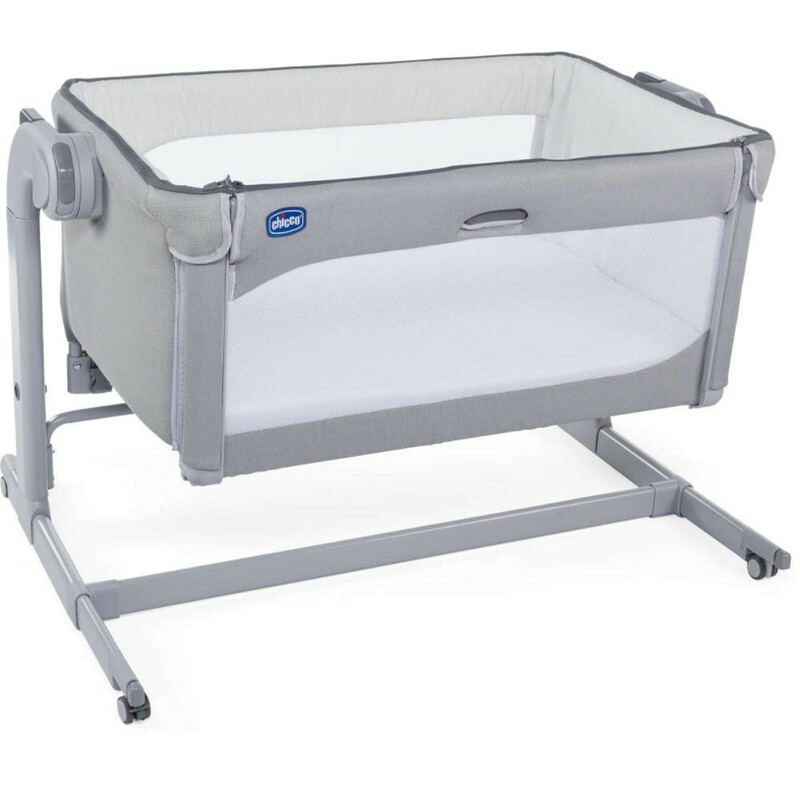 The Next 2 Me Magic crib features 11 adjustable height levels, 4x wheels for easy manoeuvrability and both sides of the crib now have breathable mesh for easy and unrestricted visibility. 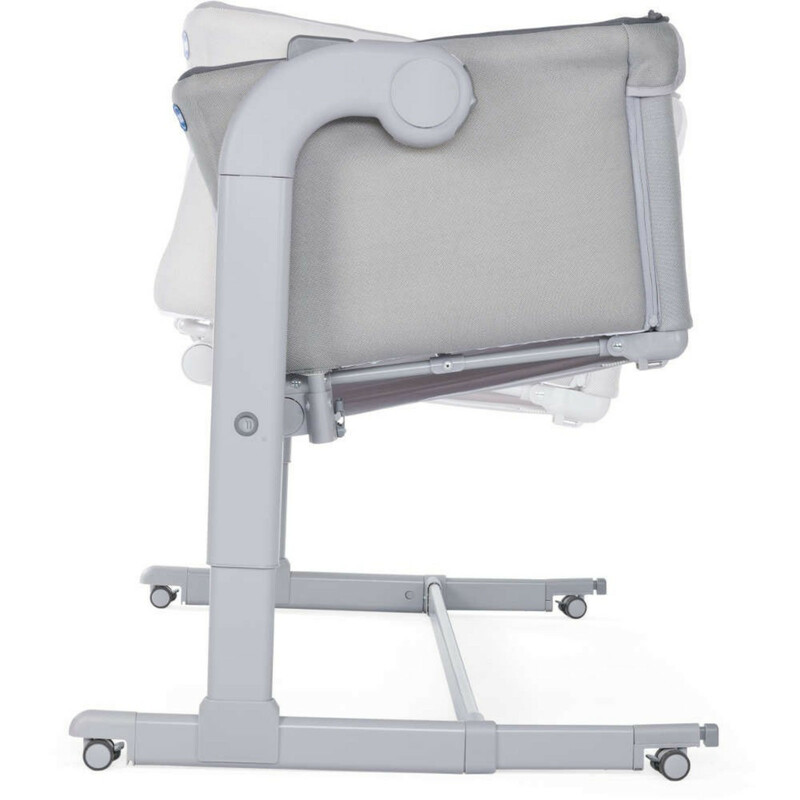 Maximum adjustability: Chicco Next 2 Me Magic can be adjusted up to 11 different heights and it can also be used inclined to help with baby's congestion and reflux. Mattress included. Removable and washable lining. Easy transport in the storage bag included.